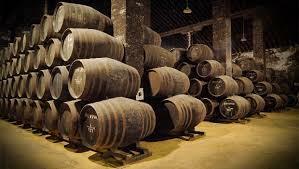 Bodegas Emilio Hidalgo was founded in 1874 and has developed an international reputation for producing elegant, refined Sherries. Located in the historical heart of Jerez de la Frontera, the winery is housed in a late-19th century building of classic construction -- thick walls, large windows, high ceilings and tiled roof -- ideal for the fermentation and aging of Sherry. By the beginning of the 20th century the winery was already well established, with a devoted following in Spain and the U.K. By the 1970s, Bodegas Emilio Hidalgo had expanded exportation to discerning Sherry drinkers in Germany, France, the Netherlands, Belgium, Austria, Italy, Denmark, the U.S. and Japan. Today, the fifth generation of Hidalgos runs the winery, carrying on the family's rich Sherry-making heritage. This new generation maintains the traditions that have been carefully preserved and enriched for more than 130 years. Through their efforts, Bodegas Emilio Hidalgo continues to be recognized worldwide for its high quality and distinct style. The winery has received countless accolades from Sherry connoisseurs and top critics.